If the term “collector car” brings to mind the big curves of the ‘40s, massive fins of the ‘50s and the pure muscle of the ‘60s, you’re missing out on a whole genre of vehicle that is to automobiles what science fiction is to literature. America’s Car Museum – North America’s largest automotive museum – explores tuner culture in their new exhibition, Glow: Tuners@ACM. 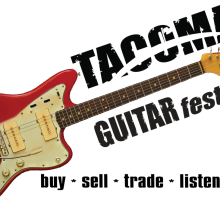 The Glow: Tuners@ACM exhibition is on display now through spring 2019 at LeMay – America’s Car Museum in Tacoma.